We are required by law to maintain the privacy of your health information, to provide you this detailed Notice of our legal duties and privacy practices relating to your health information, and to abide by the terms of the Notice that are currently in effect. If you have any questions about any part of this Notice or if you want more information about the privacy practices of Bethany Lutheran Homes, Inc., please contact 608-406-3900. We reserve the right to change the privacy practices described in this notice in the event that the practices need to be changed to be in compliance with the law. We will make the new notice provisions effective for all the protected health information that we maintain. If we change our privacy practices, we will have them available upon request. The list of entities covered under this notice include Bethany Riverside, Bethany On Cass, Eagle Crest North, Eagle Crest South, The Willows, Hearten House I, II, III, Bethany Heights, and Bethany Lutheran Homes, Inc. corporate offices. 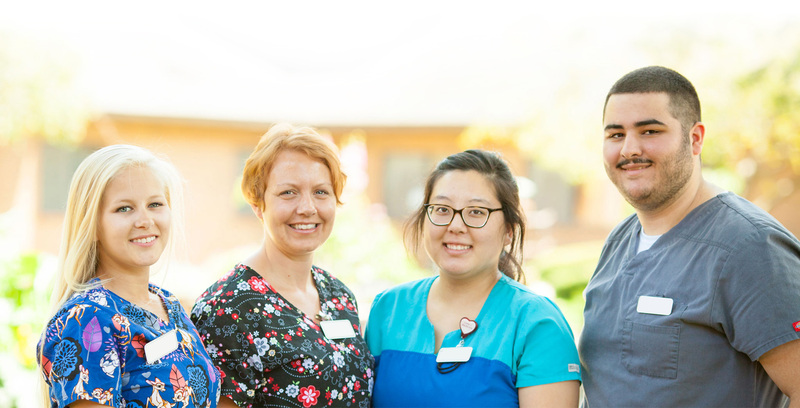 Providers within Bethany Lutheran Homes may share information for purposes of treatment, payment, and health care operations. For Treatment . We will use and disclose your health information in providing you with treatment and services and coordinating your care and may disclose information to other providers involved in your care. Your health information may be used by doctors involved in your care and by nurses and home health aides as well as by physical therapists, pharmacists, suppliers of medical equipment or other persons involved in your care. For example, we will contact your physician to discuss your plan of care. Facility Directories. Unless you object, we will include certain limited information about you in our typed facility directories. This information may include your name, your location in the facility, and your religious affiliation. Our directories do not include specific medical information about you. We may release information in our directories except for your religious affiliation, to people who ask for you by name. We may provide the directory information, including your religious affiliation, to any member of the clergy. Public Health Activities. We may disclose your health information for public health activities. These activities may include, for example, reporting to a public health authority for preventing or controlling disease, injury or disability; reporting elder abuse or neglect; or reporting deaths. Reporting Victims of Abuse, Neglect, Misappropriation of Funds or Domestic Violence. If we believe that you have been a victim of abuse, neglect, misappropriation of funds or domestic violence, we may use or disclose your health information to notify a government authority, if authorized by law or if you agree to the report. Judicial and Administrative Proceedings. We may disclose your health information in response to a court or administrative order. We also may disclose information in response to a subpoena, discovery request or other lawful process; efforts must be made to contact you about the request or to obtain an order or agreement protecting the information. Law Enforcement. We may disclose your health information for certain law enforcement purposes, including, for example, to comply with reporting requirements, to comply with a law order, warrant or similar legal process, or to answer certain requests for information concerning crimes. Research. We may use or disclose your health information for research purposes if the privacy aspects of the research have been reviewed and approved, if the researcher is collecting information in preparing a research proposal, if the research occurs after your death or if you authorize the use or disclosure. Workers’ Compensation. We may use or disclose your health information to comply with laws relating to workers’ compensation or similar programs. These programs may provide benefits for work-related injuries or illness. Fundraising Activities. We may use certain limited contact information for fundraising purposes or may provide contact information to a foundation related to Bethany Lutheran Homes, Inc.
Health Information. We may use or disclose your health information to inform you about treatment alternatives and health-related benefits and services that may be of interest to you. Other Uses. Unless you object, we may post your name on a facility directory; such posting may include your room or apartment number. We may acknowledge your birthday on your room door or on a bulletin board or at a special facility function. We may notify your church upon admission to one of our facilities. We may share your phone number with other residents/clients. We may post a picture of you and biographical sketch for special recognition. We may post information at the entrance to or within your room to communicate certain information necessary for appropriate care and treatment. Examples include (but are not limited to) oxygen in use, fluid restrictions, precautions for hands-on-care. We may place your diet and any special instructions on your diet card that may accompany your meal when served. We may post notification of your death, should it occur while you are a client or resident of one of our facilities. Request Restrictions. You have the right to request restrictions on our use or disclosure of your personal health information for treatment, payment or health care operations. You also have the right to restrict the personal health information we disclose about you to a family member, friend or other person who is involved in your care or the payment for your care. We are required to agree to your requested restriction with respect to release of your health information to any individual outside our facilities unless you are being transferred to another health care institution, the release of records is required by law, third party payment or to provide you with emergency care. Access Personal Health Information. You have the right to request, either orally or in writing, your medical or billing records or other written information that may be used to make decisions about your care. You have the right to request that the copy be provided in electronic form. If the form is not readily producible, then the organization will work with you to provide it in a reasonable electronic form. We must allow you to inspect your records within 24 hours of your request (excluding weekends and holidays). If you request copies of the records, we must provide you with copies within two working days of that request. We may charge a reasonable fee consistent with state law for our costs in copying and mailing your requested information. Request Amendment. You have the right to request amendment of your health information maintained by Bethany Lutheran Homes, Inc. for as long as the information is kept by or for Bethany Lutheran Homes, Inc. Your request must be made in writing and must state the reason for the requested amendment. We may deny your request for amendment if the information (a) was not created by Bethany Lutheran Homes, Inc. unless the originator of the information is no longer available to act on your request; (b) is not part of the health information maintained by or for Bethany Lutheran Homes, Inc.; (c) is not part of the information to which you have a right of access; or (d) is already accurate and complete, as determined by Bethany Lutheran Homes, Inc.
Request an Accounting of Disclosures. You have the right to request an “accounting” of certain disclosures of your health information. This is a listing of disclosures made by Bethany Lutheran Homes, Inc. or by others on our behalf, but this does not include disclosures for treatment, payment and health care operations or certain other exceptions. To request an accounting of disclosures, you must submit a request in writing, stating a time period beginning after April 13, 2003 that is within six years from the date of your request. The first accounting provided within a 12- month period will be free; for further requests, we may charge you our costs. If you have any questions about this Notice or would like further information concerning your privacy rights, please contact our administrator at Bethany Riverside, 608-406-3923. If you believe that your privacy rights have been violated, you may file a complaint in writing with Bethany Lutheran Homes, Inc. or with the Office for Civil Rights in the U.S. Department of Health and Human Services. We will not retaliate against you if you file a complaint. We reserve the right to change this Notice and make the revised or new Notice provisions effective for all health information already received and maintained by Bethany Lutheran Homes, Inc. as well as for all health information we receive in the future. We post a copy of the current Notice in each of our facilities. We will provide a copy of the revised Notice upon request.